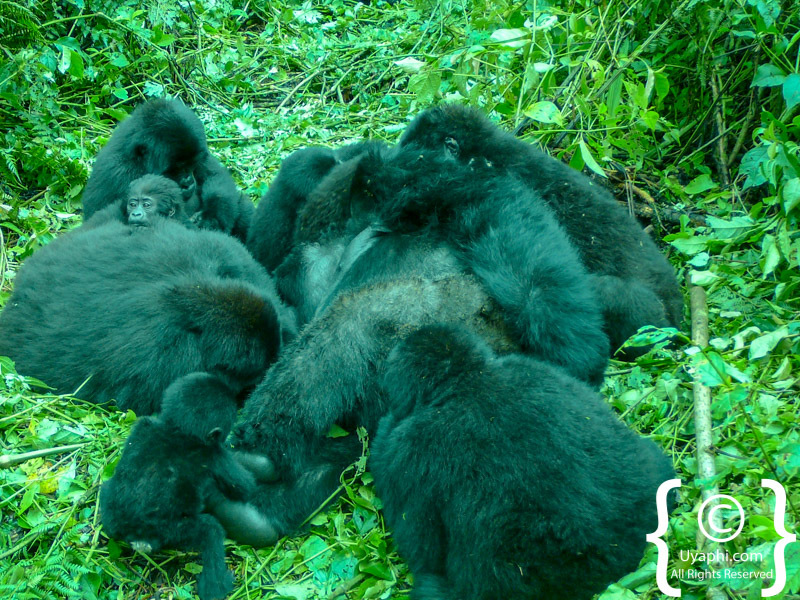 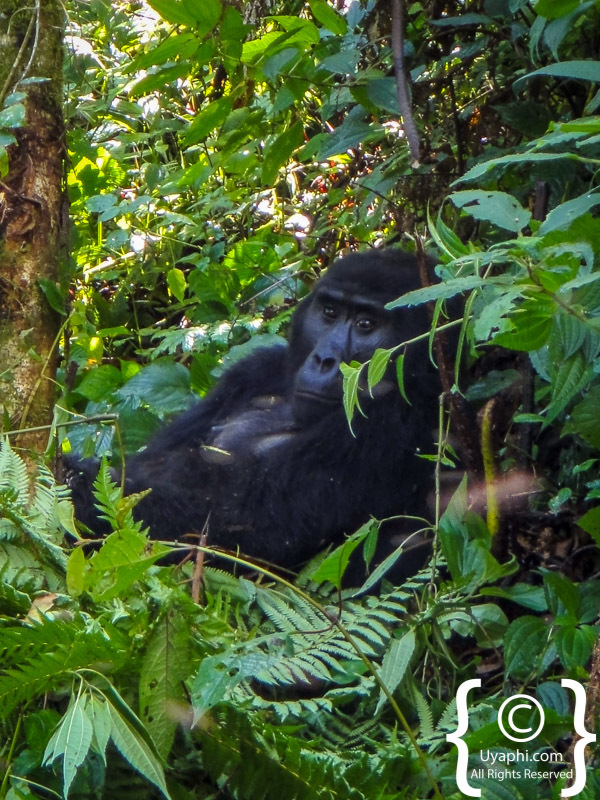 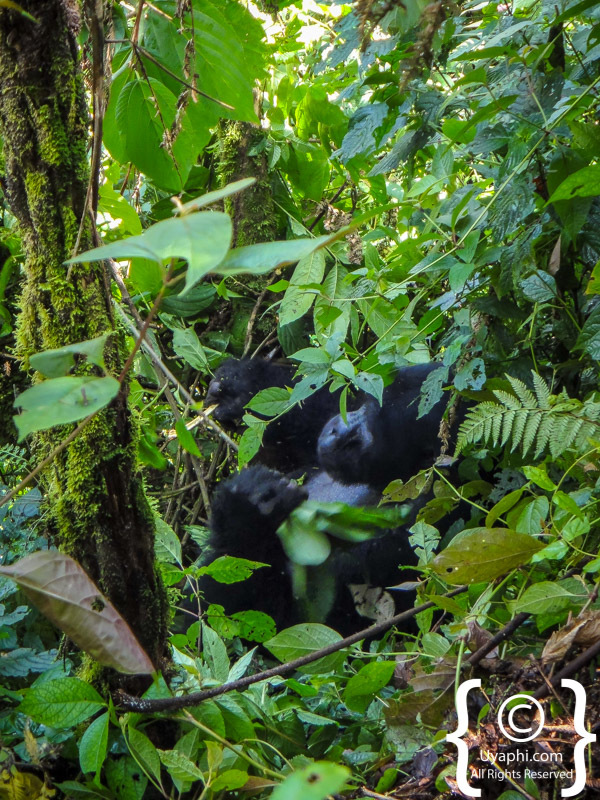 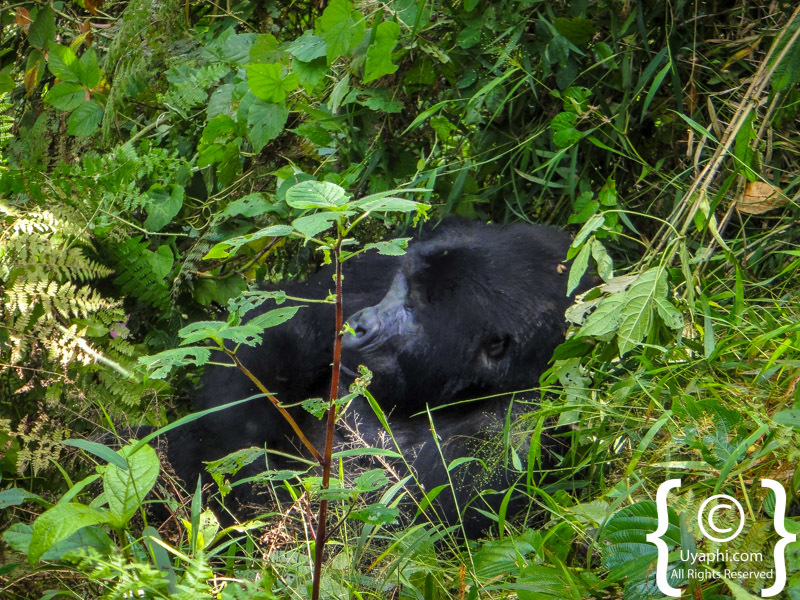 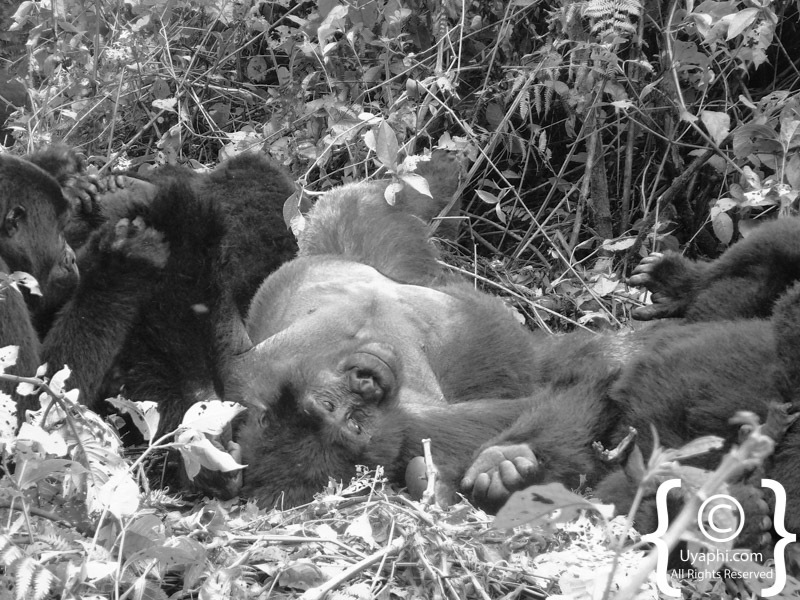 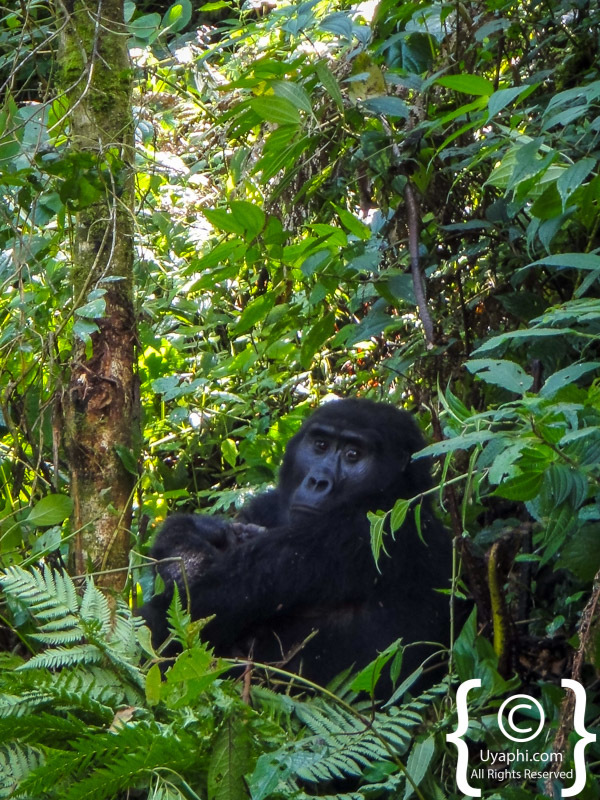 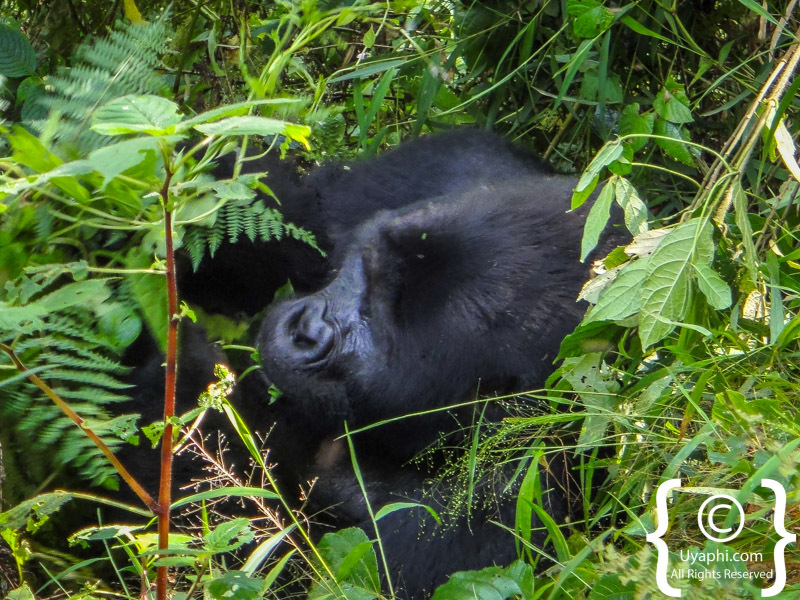 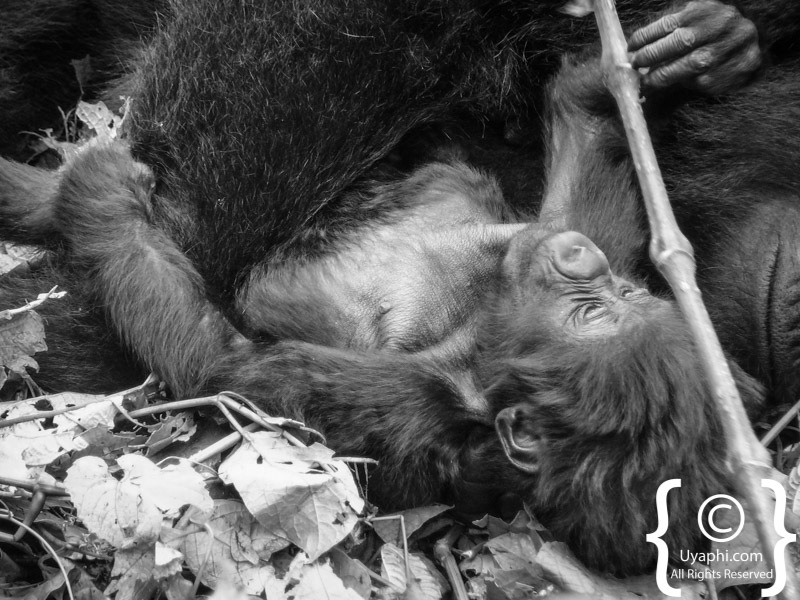 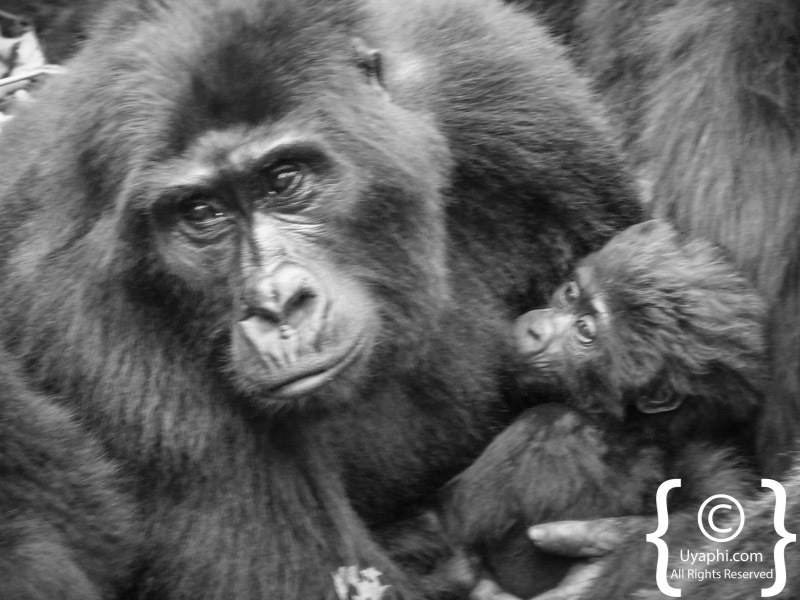 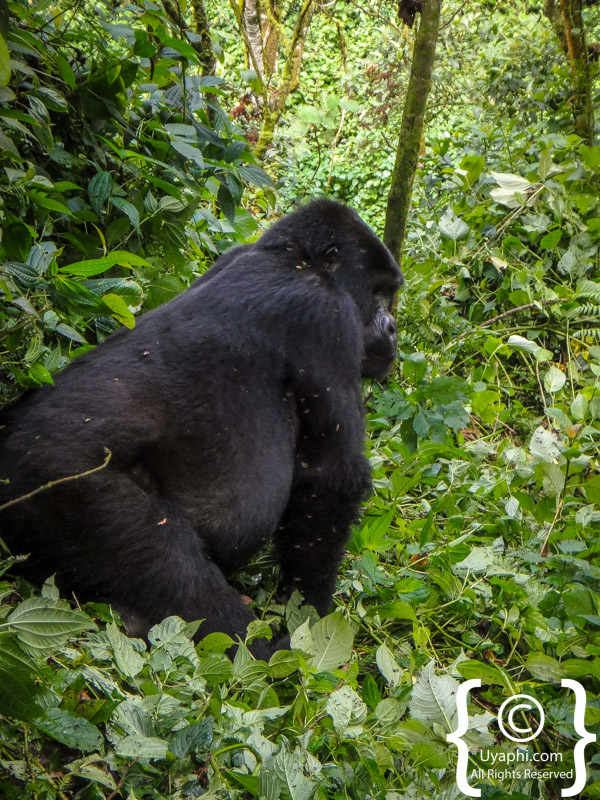 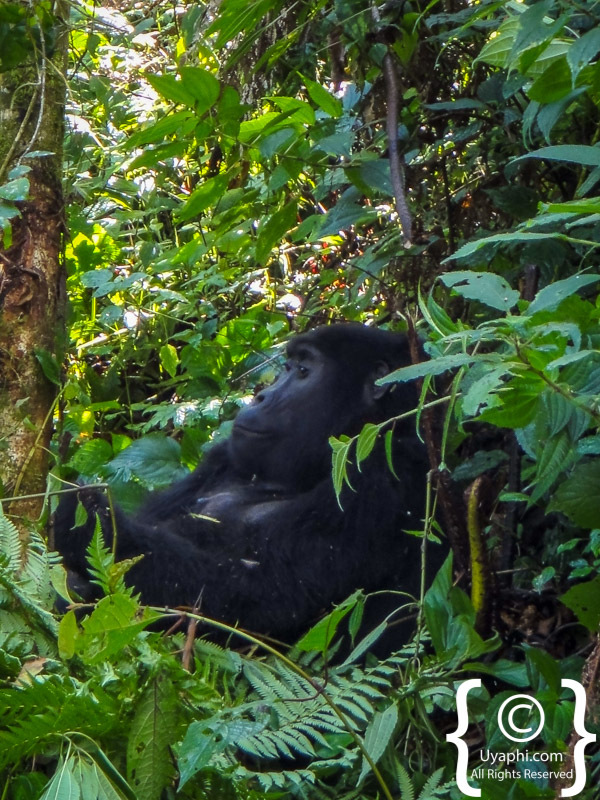 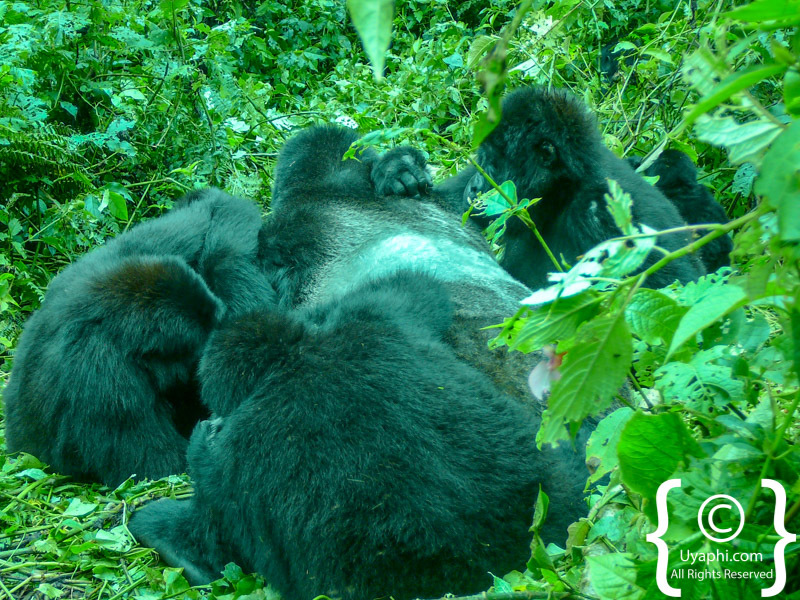 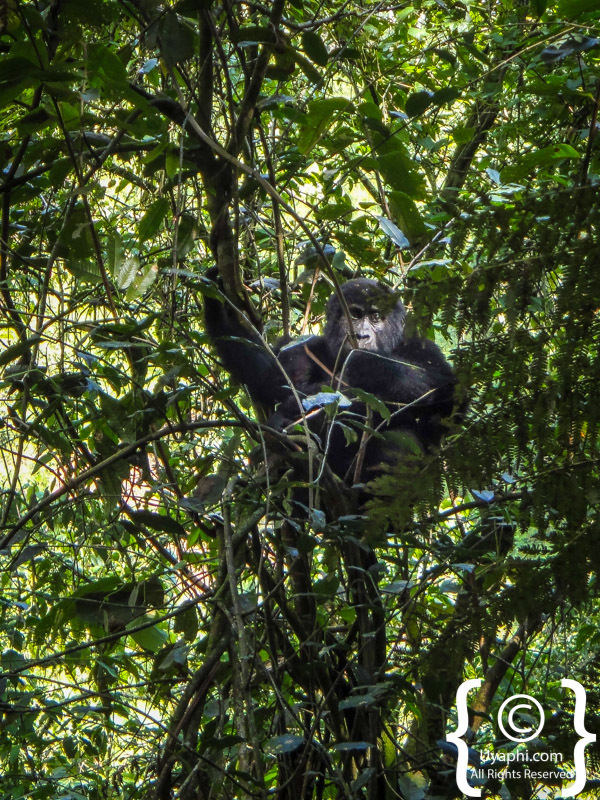 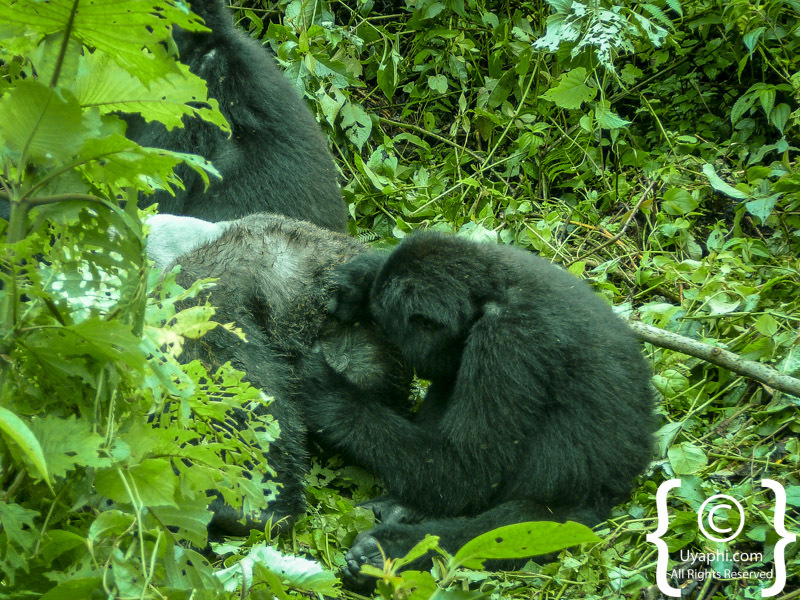 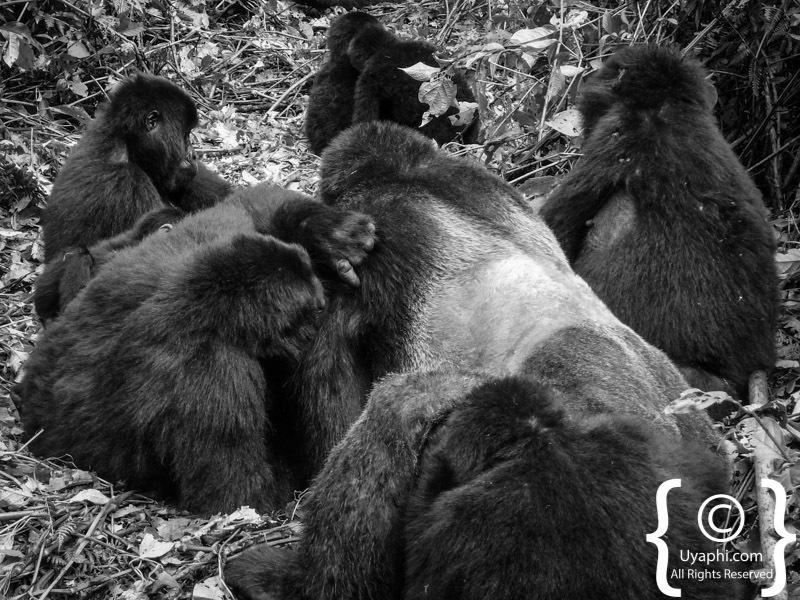 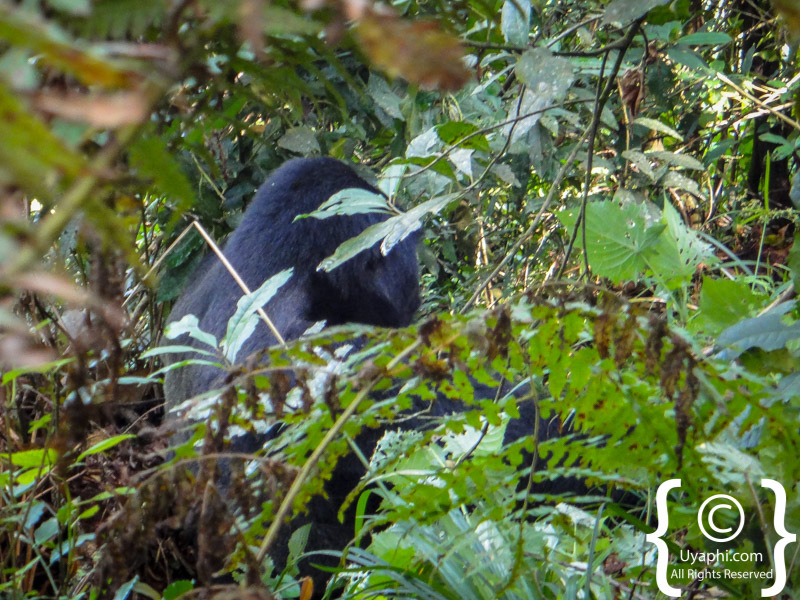 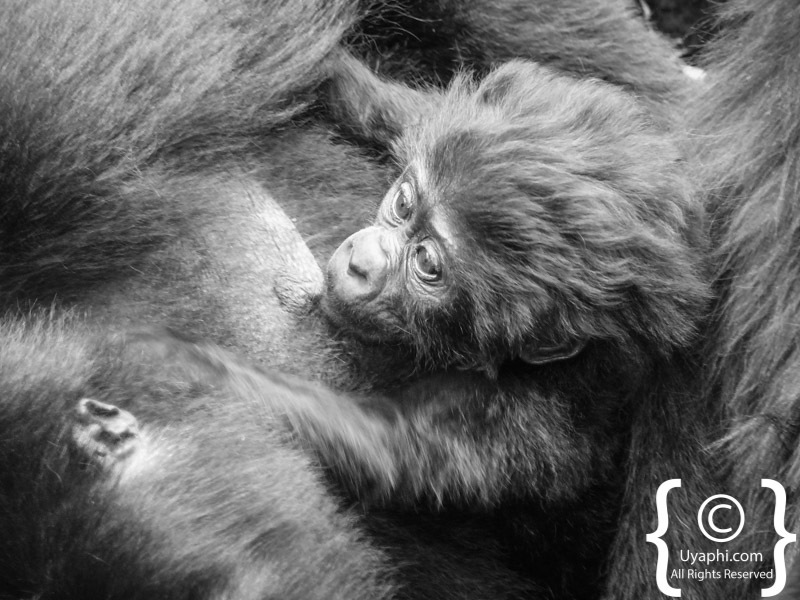 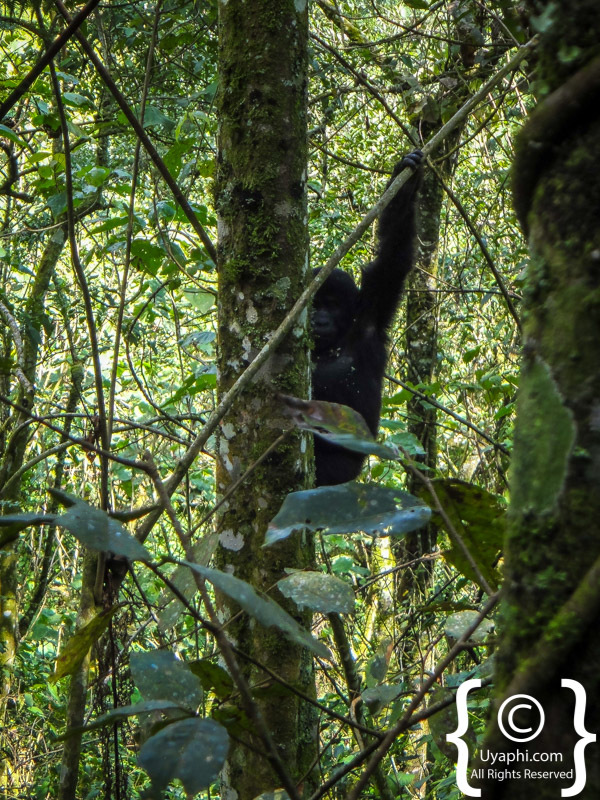 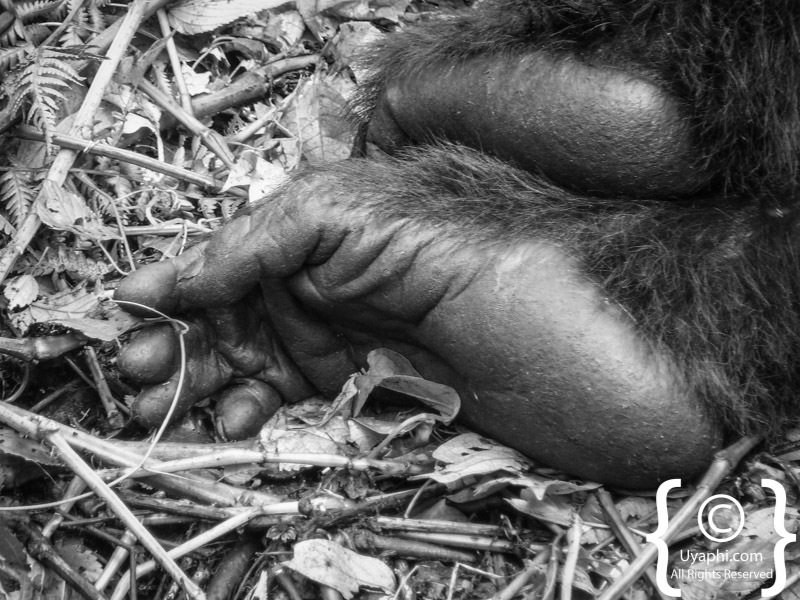 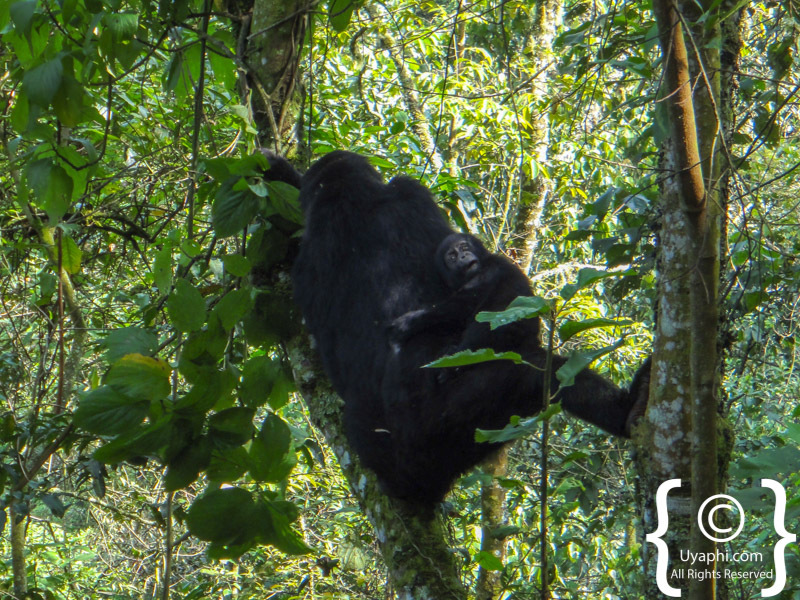 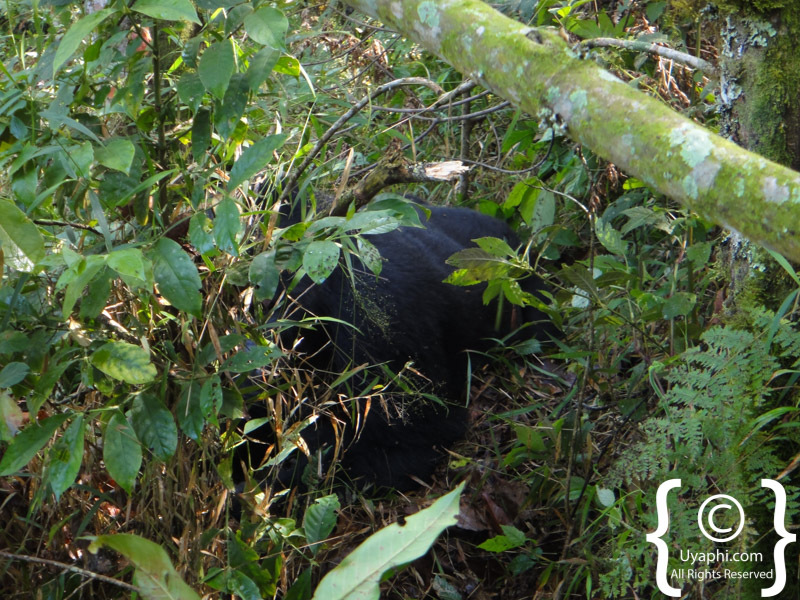 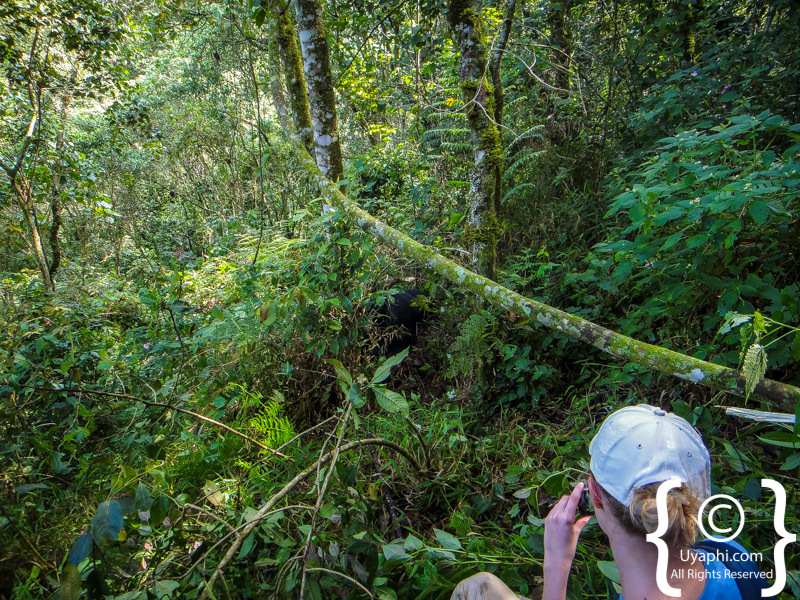 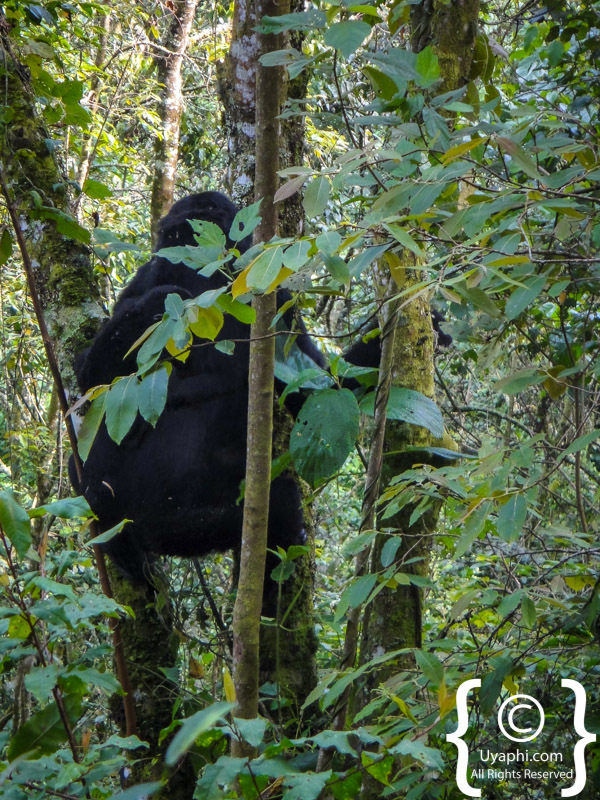 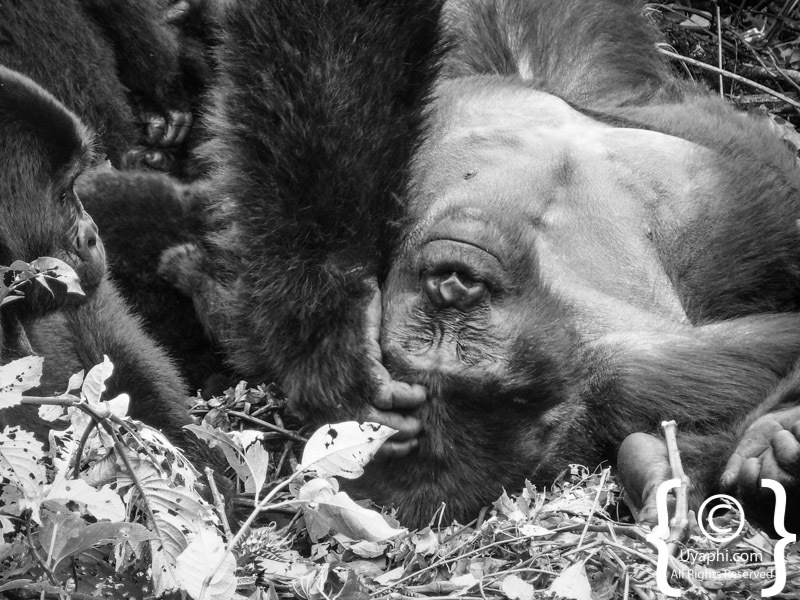 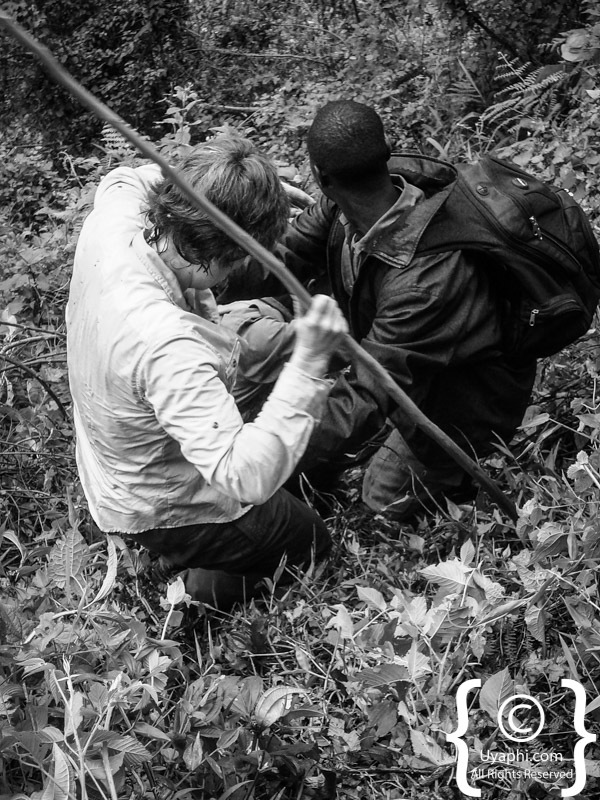 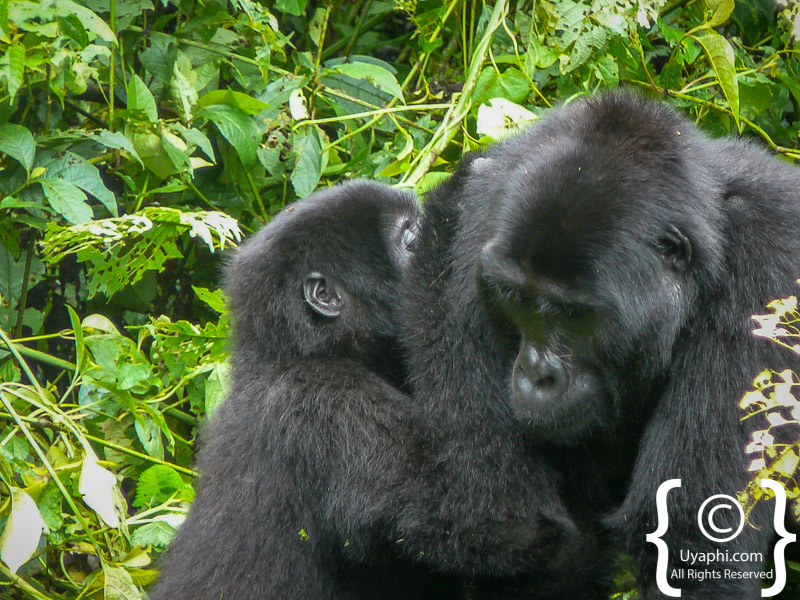 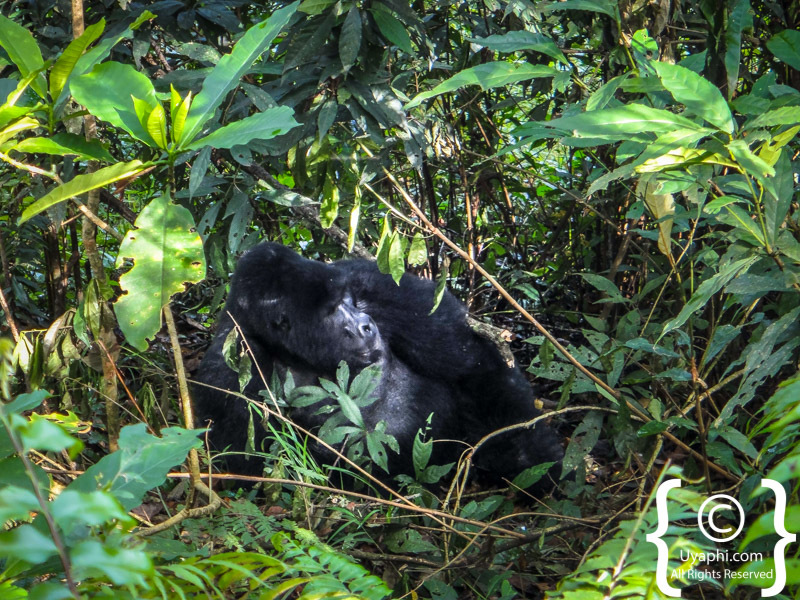 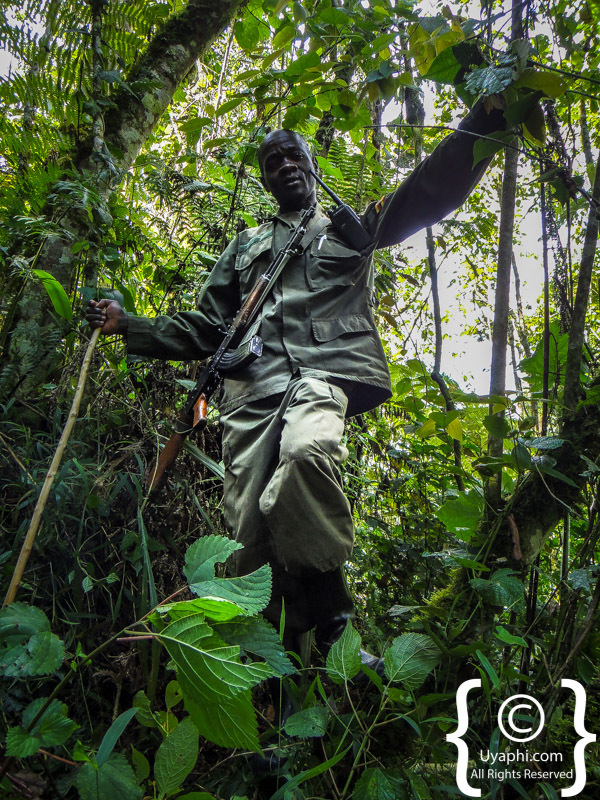 One of the very best experiences not only in Uganda but Africa as a whole, gorilla trekking safaris in the Bwindi Impenetrable Forest as well as the Mgahinga Gorilla National Park (with Bwindi being the more famous of the two). 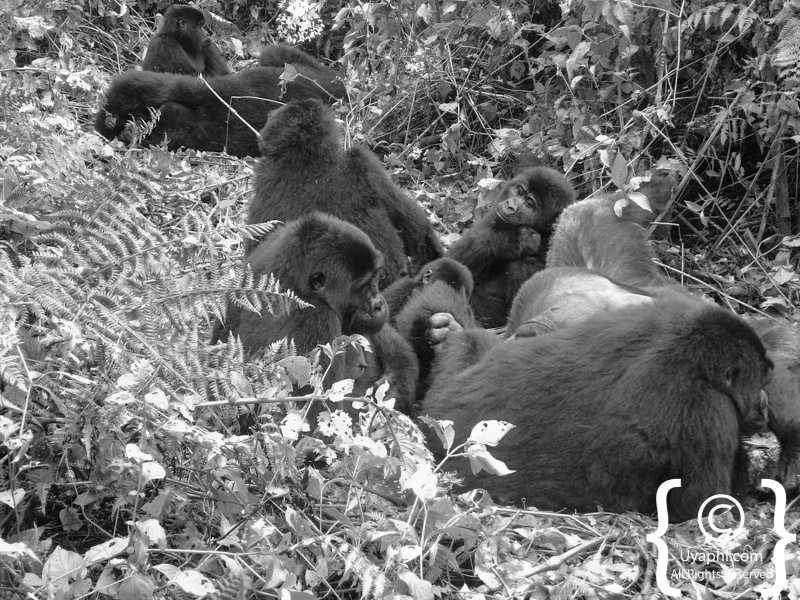 Lighting around were one gets to see the gorillas is normally not good at all due to the forest cover, a camera that is good at taking low light photographs is highly recommended. 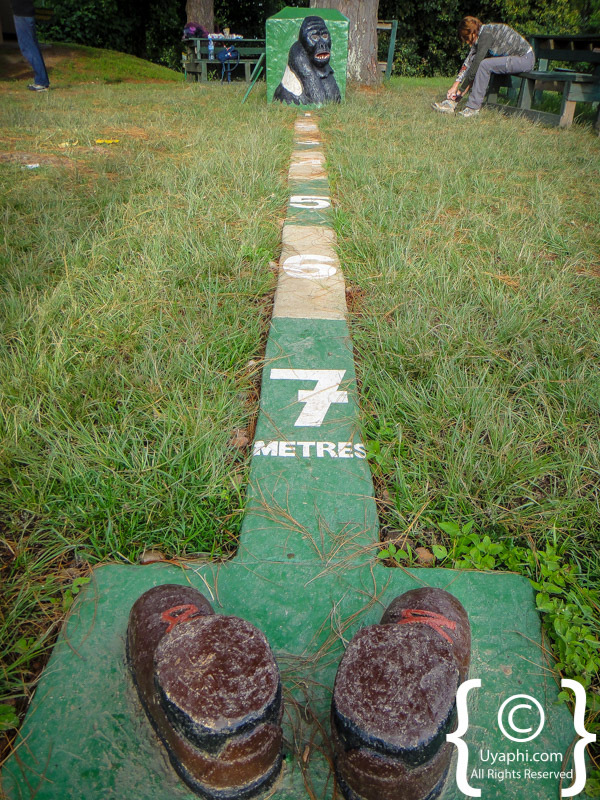 As far as a lens is concerned, a wide angle and up to 100mm is more than enough, all with preferably a large aperture (for example 2.8 or wider). 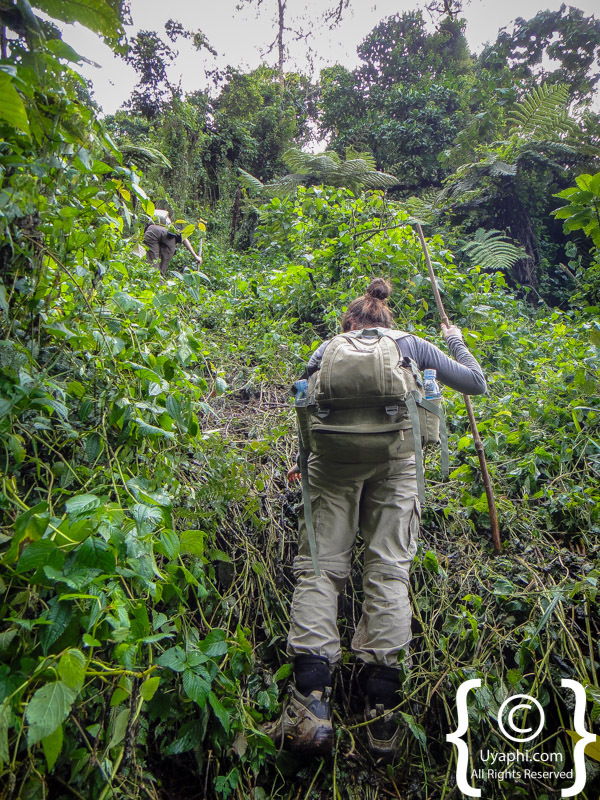 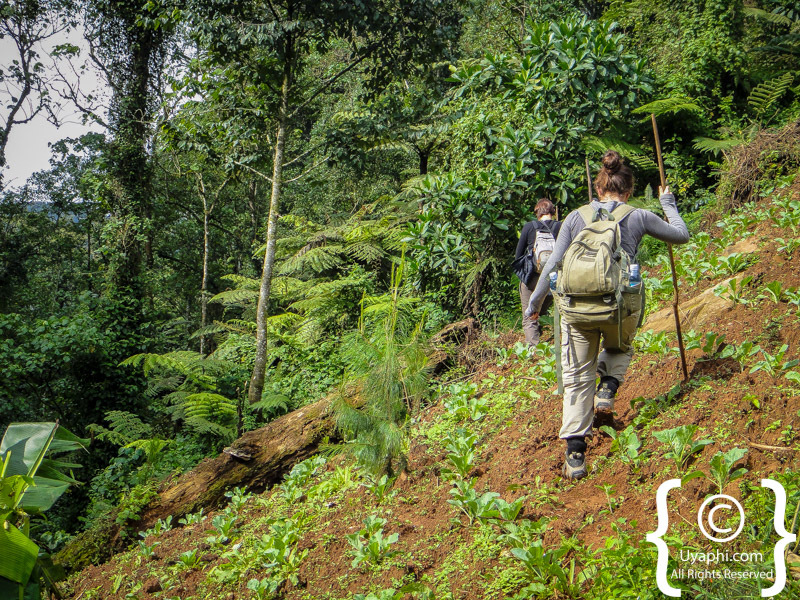 Treks into the forest can last hours, it is with that we highly recommend good and waterproof hiking boots as well as comfortable clothing and a comfortable camera bag. 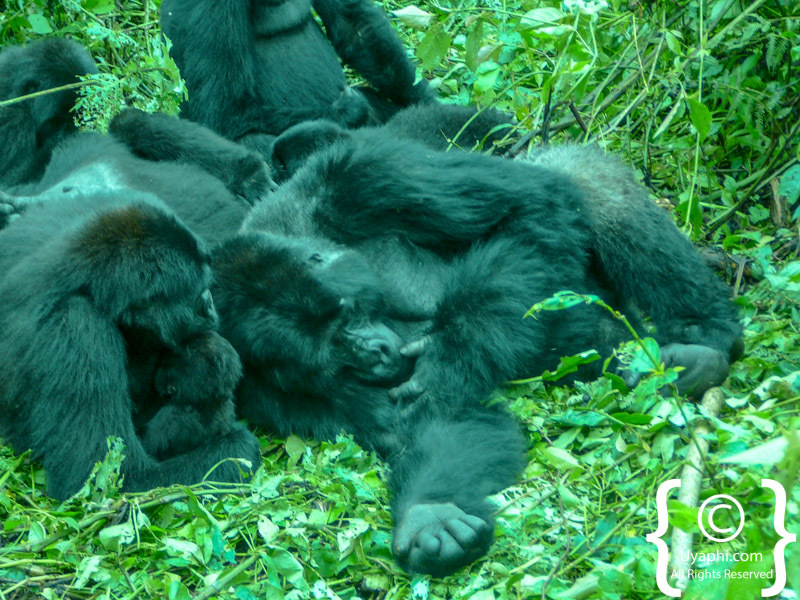 All photographs have been taken by us here at Uyaphi.com over the last 19 years, please enjoy.